Is Lovely Curls a DevaCurl Dupe? It is often said that imitation is the highest form of flattery, but is that also the case with hair products? 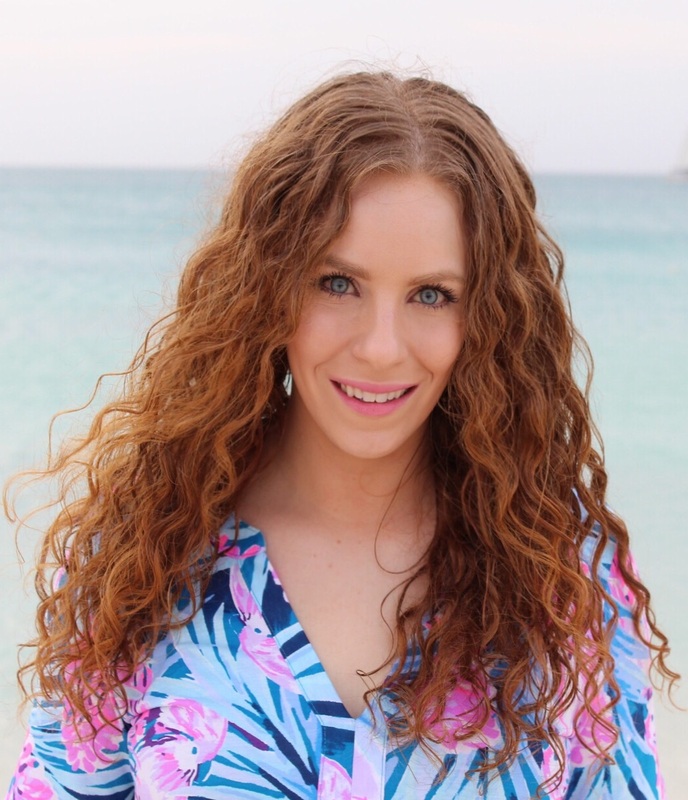 I recently tried and compared DevaCurl to a dupe brand, Lovely Curls, which I found while shopping at Harmon's Face Values in New York. Read my full, detailed, comparison review HERE on naturallycurly.com! If you follow me on social media (hi! thank you) it is no secret I have fallen in love with Wander Beauty's fantastic line of makeup! I've done a couple of blogs so far on the brand, and today I will be focusing on some more must haves! The best news is, these are still available in a little kit that brings you a savings!!! Read on for more. My 5th Ouidad "Carve and Slice" Cut! I was in such dire need of a hair cut! As per usual, I waited too long. My last was in September 2016. I also "self trimmed" while waiting and between that and still growing out some bleach damage (one day I may blog about that whole story), parts of my hair were terribly uneven! But Jason is a miracle worker and fixed it all, as usual! Read on for details. Some Hair Techniques to Try To Enhance Curl Definition! One of the biggest challenges for those of us with natural wavy and looser curl patterns is learning how to enhance our curl definition. 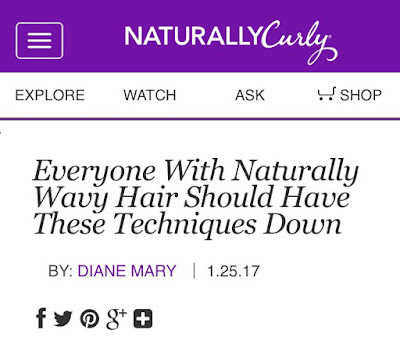 CLICK HERE to read about five techniques you can try in my naturallycurly.com article! I love Josie Maran's Argan Oil line! 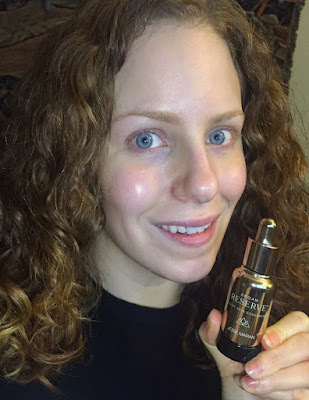 She recently debuted a new skin care product, the Argan Reserve Healthy Skin Concentrate, and I was SUPER LUCKY to actually win one off of her Instagram contest!! I can't give a full review yet, because with skincare, full reviews should not be given until using for at least three weeks. but I can give you my first impressions! Read on for more! Concealer is tied with mascara as the makeup product I absolutely, positively, just can't live without!! It's a product I'm always ready and eager to try new and different formulas with, mainly because my under eye circles are so very dark. When Laura Geller debuted her new concealer on QVC a few weeks ago, I was watching with my mom and the presentation looked so good, we both ordered immediately. Continue reading for my thoughts on the Brighten and Conceal Concealer! 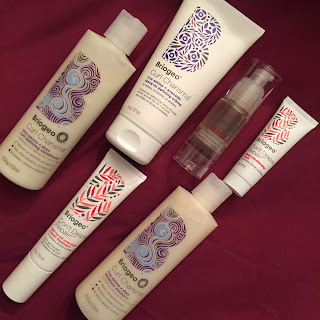 My Top 5ish Favorite Shea Moisture Products! I have been using SheaMoisture products since around 2012 and since then, I have watched them release more products and lines each year. By now I have tried quite a few of the SheaMoisture lines and have certainly developed relationships with my favorites. CLICK HERE are my Top Five Favorite SheaMoisture products to date on naturallycurly.com! Another hair of the day post! I have consecutive day one and two hair with a mix of different brands including favorites and newbies! Read on for more! 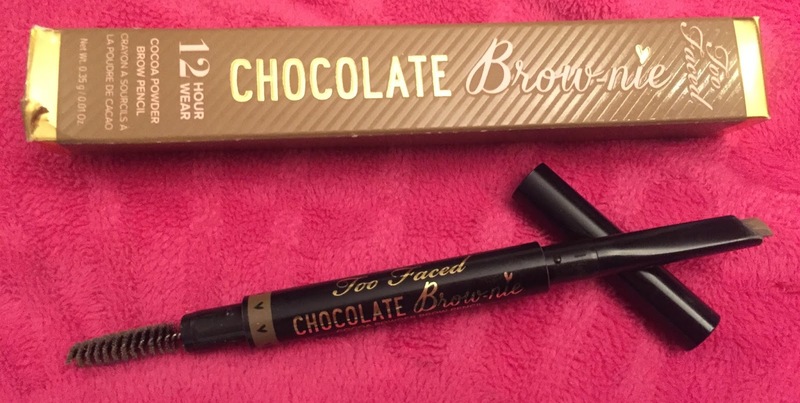 Too Faced Chocolate Brow-nie Cocoa Powder Brow Pencil is currently an HSN exclusive product from Too Faced Cosmetics! The brand that brings us the much loved Chocolate Bar eye shadow palettes have extended their chocolate scented cosmetics a bit further. I needed a new brow pencil, and once I heard that this one smelled like chocolate, I was completely sold. Read on for more. Jirano Beauty is a new, cruelty free line of sulfate, silicone, and paraben free hair product, with lots of natural ingredients! The brand, which combines nature and science, features a special Coconut Oil Keratin Complex which is absorbed into the hair helping to treat and make the hair healthier. 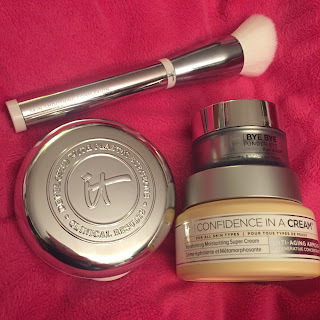 Read on for my review of some of their products. Briogeo has been around for quite some time now and as a fan of theirs since the beginning, I have watched the brand expand in both their popularity and product offerings. As someone who has been loving their signature Don’t Despair, Repair Mask, I was ecstatic to see them expand the line with an Overnight Repair Treatment from the franchise! The Briogeo Don’t Despair, Repair Gel-To-Oil Overnight Repair Treatment has become a staple in my hair care regimen and if you are looking overnight hair benefits that won’t make a mess, you have to check it out. Read all the details why I love it and how I use it HERE on NaturallyCurly.com! Raise your hand if you are not perfect! :::Raises both hands to practically touch the ceiling::: So I ruined what I believe would have been an EXCELLENT hair day the other day and it was so disappointing. I tried to resurrect it a bit and this blog is going to be all about the honest details. On Saturday, January 14, 2017 IT Cosmetics has a Today's Special Value on QVC featuring their skincare, a new brush and new foundation! The special kit will be available for 24 hours only (or less if it sells out) at the lowest price it will ever be! Continue reading on for my thoughts. Let's Talk DevaCurl Stylers Plus Their Old Packaging Sale! Hi Readers! 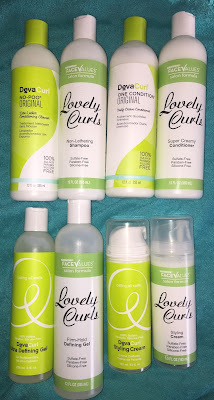 =) It's no secret that I've been loving DevaCurl's products lately! They perform well and consistently for me which are two very important factors I look for when choosing products. Plus I love that the line is always sulfate, silicone and paraben free- they are the OG Curly Girl Method product line, after all. DevaCurl is having a nice sale starting today so I thought it would be a good time to chat about all their stylers and how I like to use them. Read on for more. 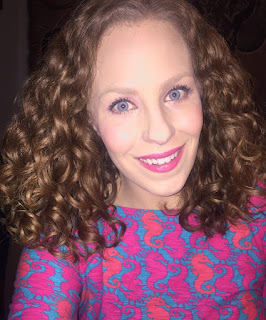 Hair of the Day: Why I Think My Hair Keeps Getting Curlier! I have't done a "Hair of the Day" in a week or so and that's just not acceptable for me! Today was wash day and I was really pleased with my outcome. I've been noticing lately my hair is looking curlier and curlier and I can attribute it to a few different things. Continue reading for more! I have been really enjoying so much from Wander Beauty lately. 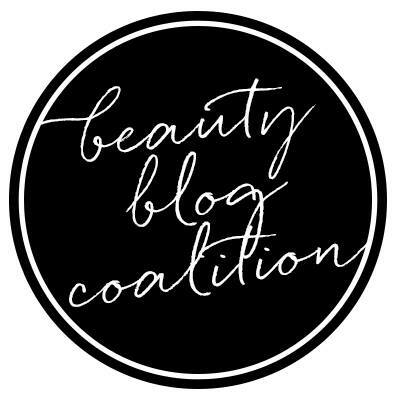 This cruelty free, multi-tasking, skin care infused cosmetics brand pretty much skyrocketed into my favorite brands category in such a short period of time. Today I'm talking about the foundation stick, powder and lip & cheek gel! Read on for more. You know it is the beginning of the year when SheaMoisture starts releasing lots of new lines and products!! The 100% Virgin Coconut Oil Daily Hydration line is exclusive to CVS for now. Being a big fan of SheaMoisture AND Coconut Oil, I was excited to try these new products. Read on for how I liked them! 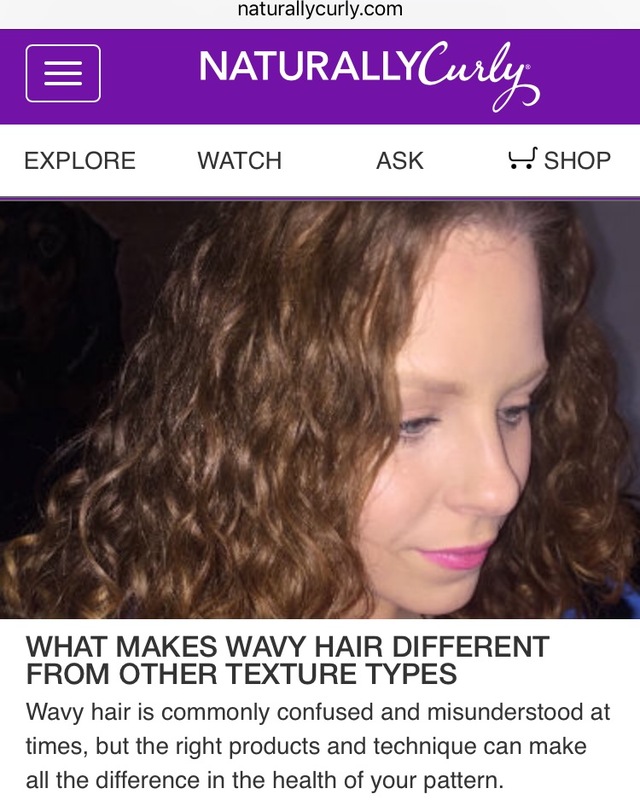 What Makes Wavy Hair Different From Other Textures and How to Enhance Your Waves! 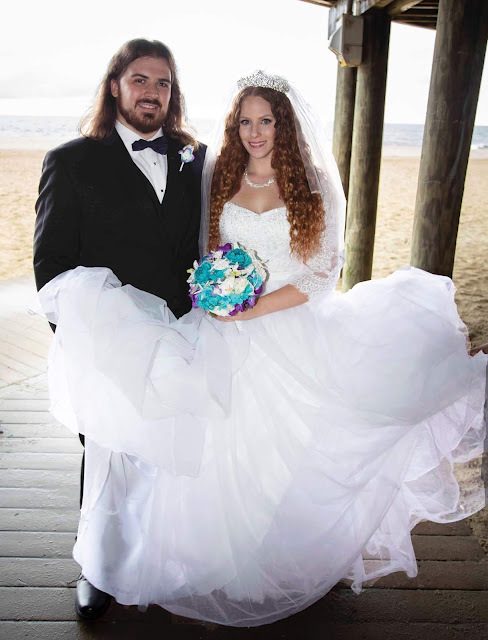 Naturally wavy hair is special. Though our texture patterns may not be as consistent as our curly and coily friends, once you learn to make the most of it, type 2 wavy hair is beautiful and so very unique! Sadly, our texture is most commonly confused and can be a tad misunderstood. 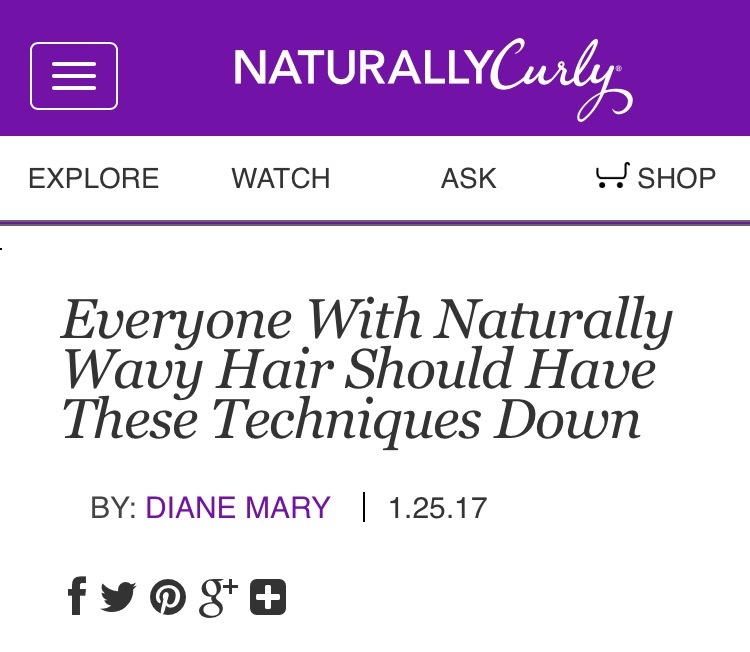 For the five characteristics of wavy hair and five tips on how to enhance your waves, CLICK HERE to read my article on NaturallyCurly.com! 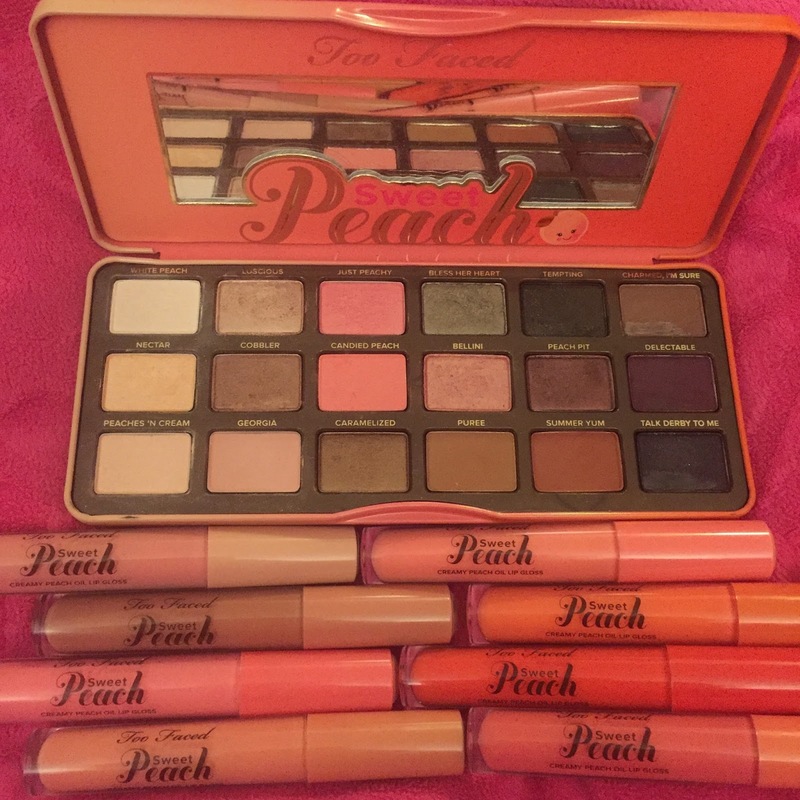 7 Looks with Too Faced Sweet Peach Eyeshadow Palette and Lip Oil Glosses! 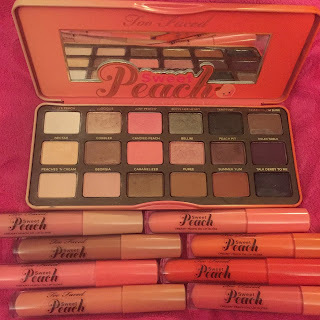 If you like makeup and you use the internet, I'm sure you know of the Too Faced Sweet Peach Palette by now. =) It "broke the internet" according the the brand and has been severely hyped up. Continue reading for my thoughts on if the hype was worth it plus 7 (SEVEN!) looks using the palette and oil glosses! I am so excited to announce that one of my favorite hair brands, Briogeo, will be debuting on QVC's Beauty IQ this week!! 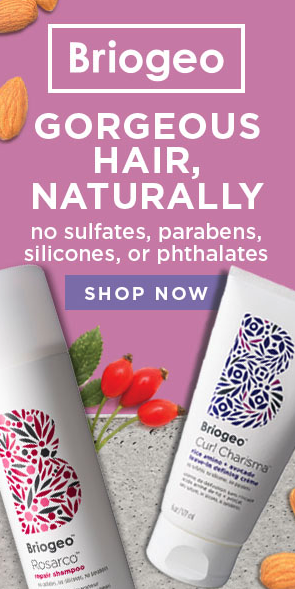 I noticed Briogeo products on the site when I checked QVC's beauty section one morning. If you read my blog regularly, you probably know I really like QVC Beauty so this new Read on for more details!